A pyramid predating all known cultures appears without warning. Its discovery throws into question everything we know about the origins of mankind. Inside lies incredible technology, proof of a culture far more advanced than our own. Something dark lurks within, eager to resume a war as old as mankind. When it is unleashed it heralds the end of our species’ reign. A plague of werewolves spreads across the world. A sunspot larger than anything in recorded history begins to grow. Yet both pale in comparison to the true threat, the evil the werewolves were created to fight. This was an awesome mix of adventure (think Indiana Jones), Sci-Fi, Fantasy, and Mythology all in one action packed story. While this one did start out a bit slow for me , it did really start to pick up once Blair is in Peru at the site with the rest of the scientific team. 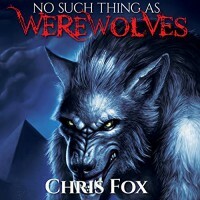 From here I found the story very engaging and the story pulls you along on the wild ride that is “There are no Such Things as Werewolves”. There is so much I want to say about this story but so far everything I start out typing is just full of spoilers…..I will say that in the beginning I was very happy with myself to have figured out what the ancient enemy was….only to have that turned upside down and realized about 60-70% in that I was very wrong (which is a good thing, I like a book that surprises me). And the cliffhanger this ends on…..I mean really….how could you do that to us the listener/reader……that was just kinda mean. I will now have to satisfy myself with the prequel “The First Ark” and bide my time for the audio of the next book to be released. 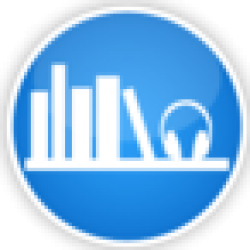 ~Narration~ Ryan Kennard Burke is a new to me narrator (although his voice is so familiar I’m wondering if he has narrated other books under another name……) and he did an amazing job telling this story. A narrator can really make or break a book and in this case the narration just brings the characters to life. I will definitely be looking at other books by RKB, and cannot wait to listen to the next book in this series. My one complaint is the production quality (not sure if my review copy was a clean “edited” copy or not), at first it seemed like there was some static or echoing and this continued on throughout the story. I don’t know anything about sound recording or production other then knowing something does not sound right, so I had my husband listen and he said what I was hearing sounded like sibilance overloading the recording or maxing out the compressor. Other than that small issue I enjoyed the story and the narration and am looking forward to more.